Facebook Promotions are a solid way to convert your Facebook fans into buyers. Did you know that 78% of consumers make purchases influenced by a brand’s social media? Facebook is the perfect place to capitalize on those instincts. Whether it’s a referral contest or a coupon, these tips will help you make the most out of your next Facebook promotion. 1 . Include share buttons. Share buttons can help spread the word of your promotion not only on Facebook but also on other social networks such as Twitter and Google Plus (Wishpond’s promotion app has these built in already.) The best part is that your entrants will share your promotion for you. 2 . Include a photo the prize in your promotions’ banner image. Seeing a visual of the deal is a great way to incentivize Facebook fans to claim the promotion, as it makes the promotion more tangible. 3 . Use a third-party app to create your promotion. Using a third-party app to run your contest eliminates a bunch of the headaches associated with running a promotion. Plus they have special features such as like button popups and are already optimized for mobile. Learn more about third-party promotion apps here. 4 . Monitor Facebook promotion analytics daily. Third-party promotion apps usually have analytics where you can view how well your promotion is doing. it’s important to track the ROI of your promotions as you should be doing with any online campaign. And the more promotions you run, the more you’ll know about how well your promotions do in comparison to each other. 5 . Send out an email blast about your promotion. This is a great way to get a bunch of participation in your promotion, as your customers and blog readers are already interested in your product. You will get a ton of entrants if you correctly execute an email to your existing clients. 6 . Use Facebook Ads to enhance your promotion. Online campaigns with ad budgets attract 10 times the amount of entrants. If it’s your first time running a Facebook Ad don’t be overwhelmed - Facebook has lots of options for advertisers of all skill levels. I would start with a promoted post about your promotion. They’re very easy to set up and you can make your budget as low as $5 a day. 7 . Customize your Facebook share messages. If you’re using a third-party app like Wishpond, they will have a step where you can choose to customize what an entrant will post when they share their entry to the promotion. The more clear you are with what the promotion is, the more likely it will be to attract the entrant’s Facebook friends to click on the link. 8 . Post your promotion on a Thursday or Friday. When you refer to Facebook Insights usually the amount of people who are online don’t differ too drastically day-to-day. So I’d go with the standard recommendation of Thursday and Friday for important posts. it’s been proven that engagement rates are better towards the end of the week. 9 . 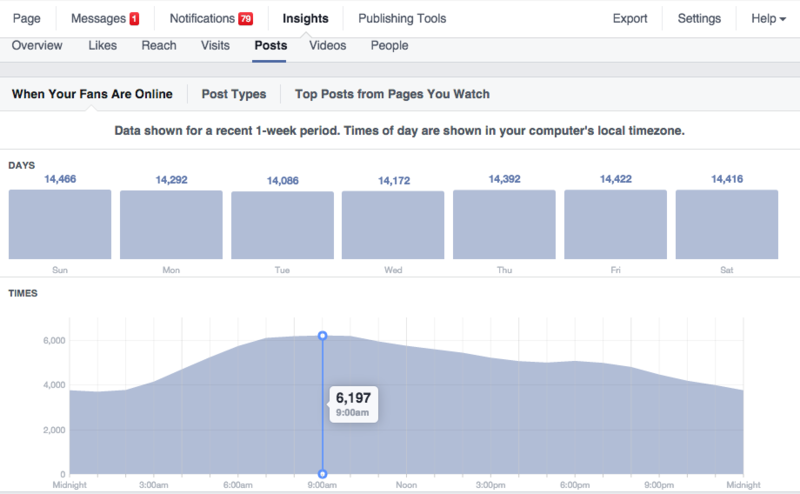 Use Facebook Insights to determine which time of day is best to post. When It will tell you the day of the week and the hours in which your specific Facebook page has the most reach (when the majority of your Facebook fans are online). 10 . Choose a timely and/or relevant offer. Take the time to think about an offer that your customers will not want to miss out on. And don’t create offers that are not relevant to the time of year: such as giving away an inflatable boat if it’s the middle of winter. 11 . Choose a third-party app that has viral sharing. Viral sharing allows promotions to get the reach that other contests simply do not permit. You can read more about viral sharing here. 12 . Create a plan of how you’re going to expand the reach of your promotion. Are you going to do this both offline and online? There are many ways you can promote a Facebook campaign - from before the contest starts until after it ends. 13 . Create a hashtag specifically for your promotion. Make sure that the hashtag you dedicate to your promotion is unique to your business, and that it’s not too long. Try to keep it under 15 characters. 14. Post about your promotion on Facebook page once every couple days. If you’re running Facebook Ads for your promotion, you can post once every few days instead. 15. Contrast the colors of your promotion with Facebook’s blue. If you refer to a color wheel you can see that both the blues are directly across from the oranges. 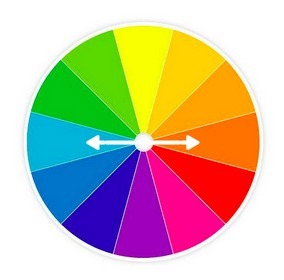 Stick to colors that are directly across from each other on the color wheel for maximum contrast. 16 . Don’t use chunky paragraphs. Make sure that people can easily scan whatever deal you are promoting - try only using 2 sentences per paragraph. Large paragraphs can scare off potential users from claiming your deal. 17 . Promote the deal on your website. How many website visitors do you think you have in comparison to Facebook users that visit your Facebook page? Be sure to promote your Facebook promotion on your website, blog or both. 18 . When the promotion is over, export your entrant’s data to your email or CRM service. This action is easy through third-party apps - all it takes is a few clicks to get your entrant’s email address (and other info) wherever and whenever you may need it. 19 . Keep your promotion’s copy short. People are less likely to read copy that is longer than 3 lines of text on Facebook. If they need to know more about the promotion, you want them to click-through to your deal, anyway. So there you have it - you’ve got all the top tips for running a Facebook promotion. Now it’s time to get going on your next promotion (your fans will thank you). Are there any essential Facebook promotion tips I’m missing? I’d love to hear your thoughts in the comments section below.